Over the last few weeks nineteen dead raptors - fourteen red kites and five buzzards - have been found near Conon Bridge in the Scottish Highlands Tests have shown that twelve of them had been poisoned. I'd be surprised if this didn't turn out to be the case with the other seven. This is now the biggest case of mass poisoning of wildlife in the UK. Whilst all such deaths are appalling the death of red kites, which were re-establishing themselves following reintroduction, is particularly upsetting. 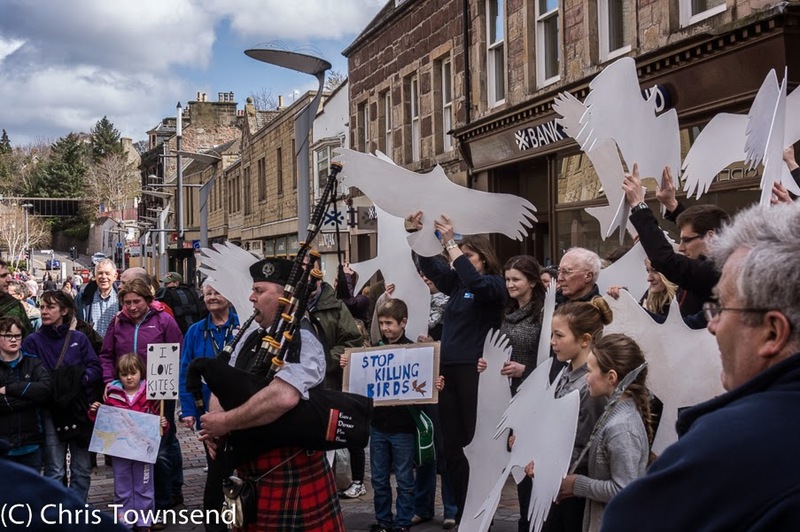 Today a protest organised by RSPB North Scotland was held in Inverness. 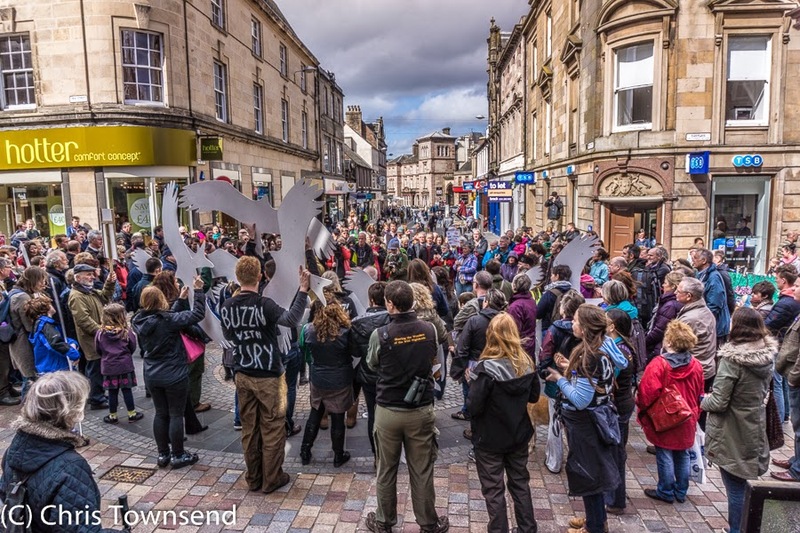 Around 100 people were there - a good number I think for such a protest, especially as it was at fairly short notice. There were nineteen large cut-outs representing the red kites and buzzards. The protest started with a bagpipe lament which was followed by several short speeches. I hope that this solemn occasion plus the petition we all signed and all the online activity will result not only in the perpetrators being caught and appropriately punished but also in more being done to crack down on the poisoning of raptors, of which there have been many cases in recent years.